#107X DOORS etc MASTER (all locks except Ignition) - for more detail see here. 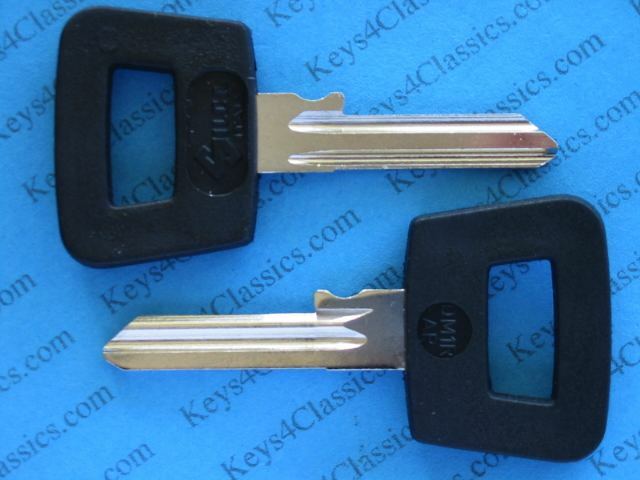 KEY CODE begins with JC (001-852). 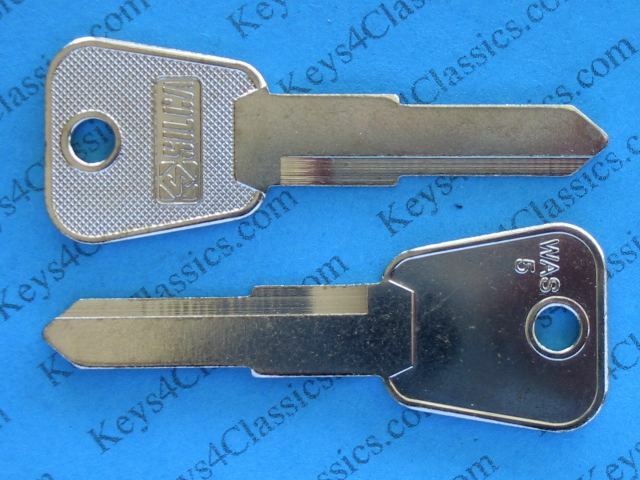 Same keys as #107 except this is BRASS material, useful for lock work or easier copying. 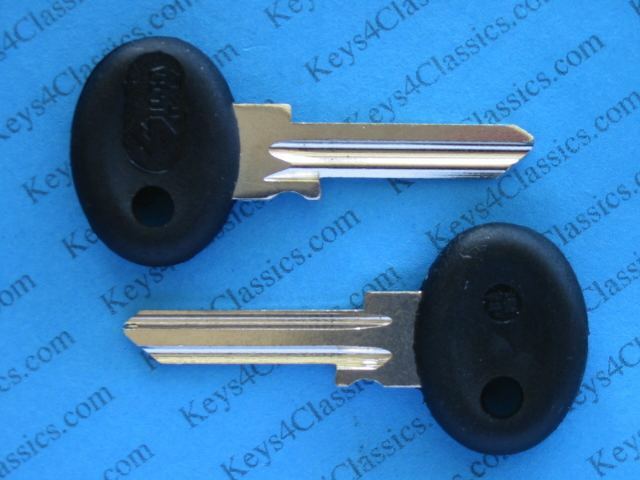 For models which also use #122 this is the Master key and #122 is the Valet key. #107 DOORS etc MASTER (all locks except Ignition) - for more detail see here. 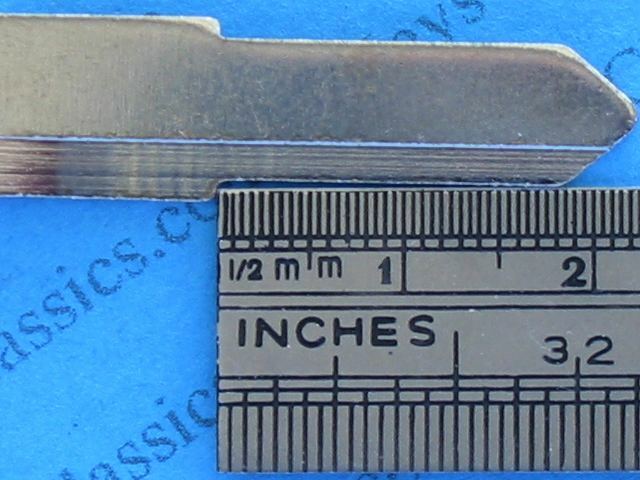 KEY CODE begins with JC (001-852). 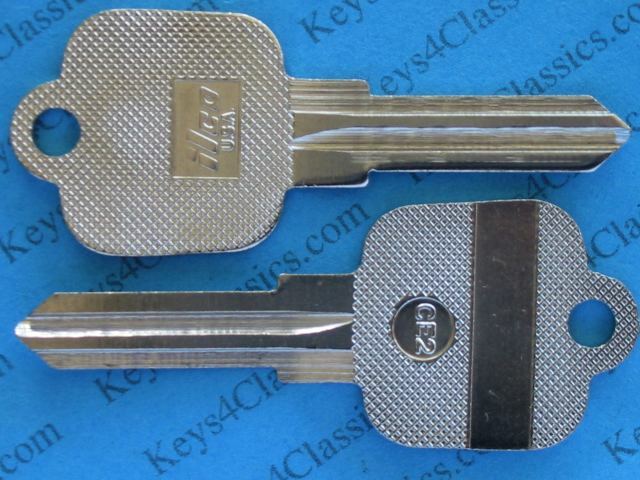 Same key as #107X except this is STEEL material. 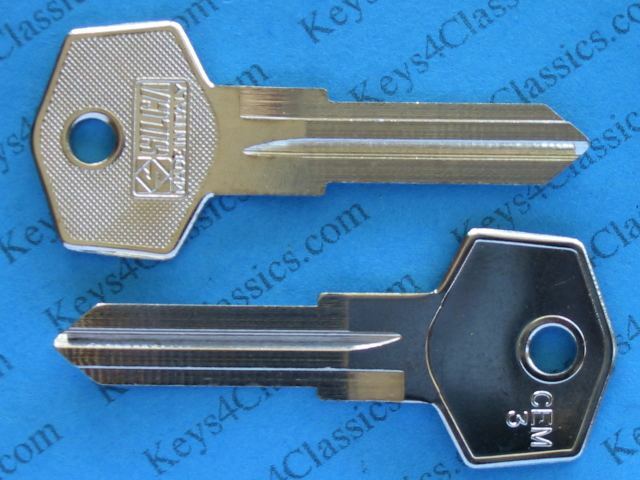 For models which also use #122 this is the Master key and #122 is the Valet key. #108 FUEL CAP (some models) - for more detail see here. 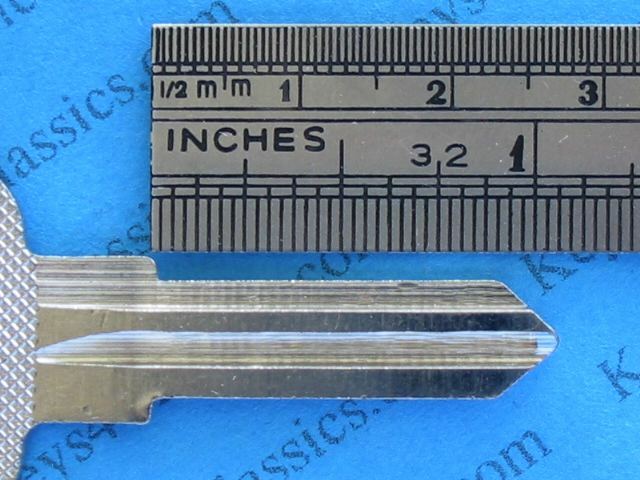 KEY CODE begins with W (600-842). STEEL material. #122 DOORS (VALET) - for more details see here. A valet version of #107 and #107X which opens only doors (it's a fraction thicker than #107 or #107X). 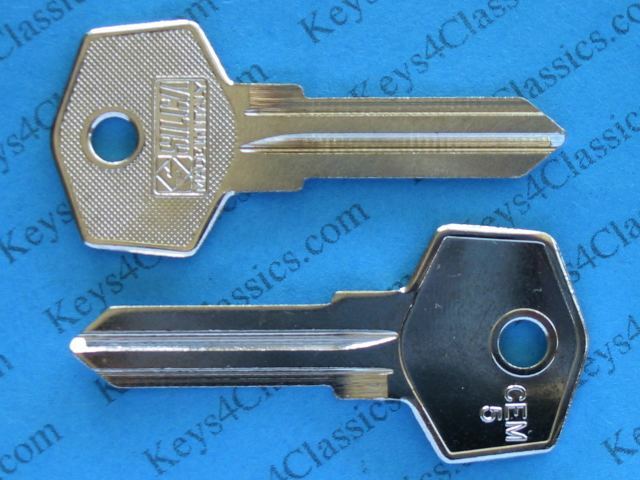 KEY CODE begins with JC (001-852). STEEL material.